The Modern Meltdown – Page 40 – Satisfy your pop-culture addiction with our polarizing podcasts! Who Likes Cosplay? We like Cosplay…on ice! New Music Video is live! This post is really hard for me to write. The games Iwata helped develop didn't form my childhood, I never met with him in person or anything close and yet I find myself feeling a great deal of sadness at the fact that he will no longer be around. The more I dwell on it the more I settle on two key things that define that feeling of loss. 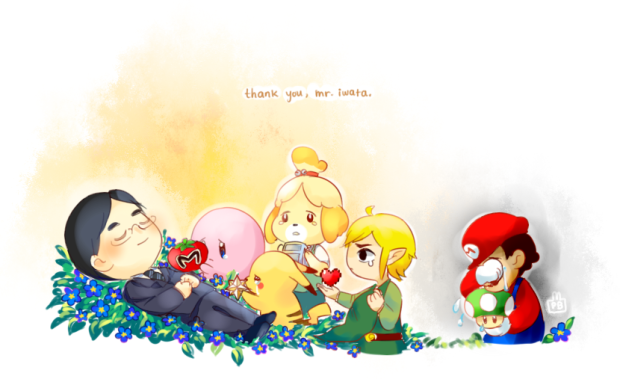 The first is that Satoru Iwata was a remarkable human being.